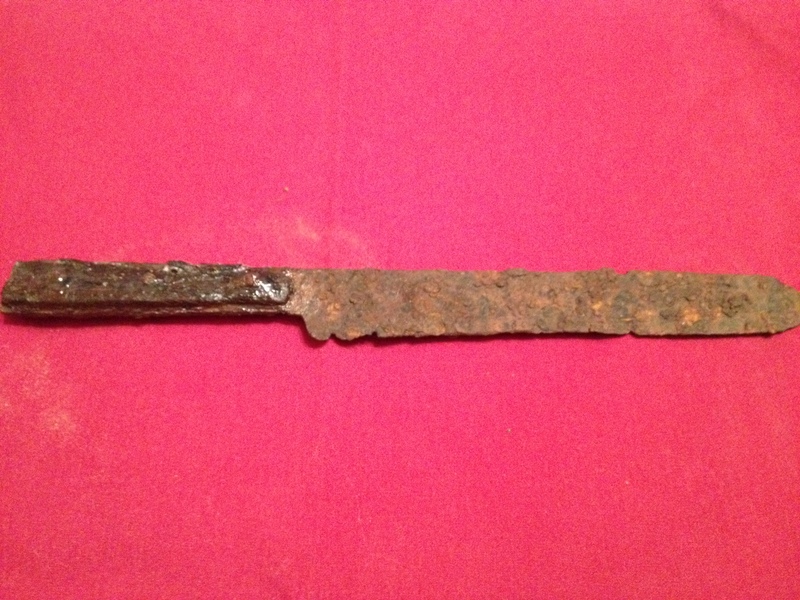 I dug this really nice knife on a private farm adjoining the Perryville KY. Battlefield. This is the type of knife that would have been issued to soldiers along with a fork and a tin plate. This one still has the original wood handle.